Thursday 31st March 2016 – 9.00pm – Claire Brown. A collision involving multiple cars and a lorry has left a woman and two children in hospital this evening. 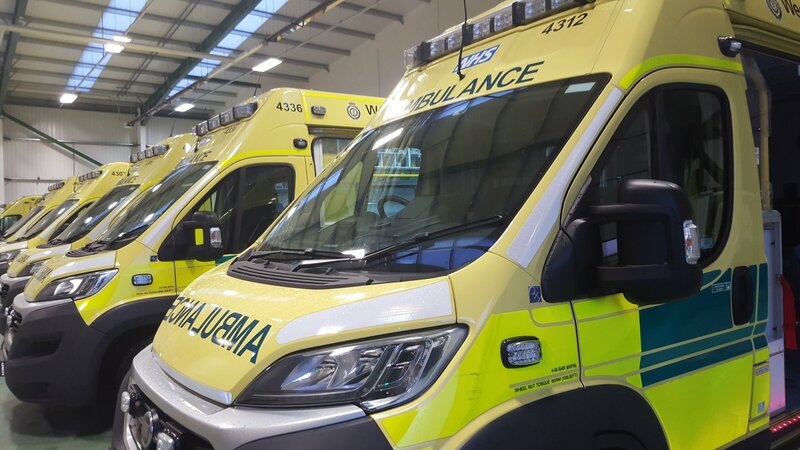 West Midlands Ambulance Service was called to the southbound carriageway of the M6 between junctions 6 and 5 in b just before 5.00pm today (Thursday). Three ambulances and two paramedic area support officers attended the scene. A West Midlands Ambulance Service spokeswoman said: “Upon arrival ambulance staff had 11 patients in need of assessment. “The most seriously injured was a boy, believed to be seven, who had sustained a suspected head injury. 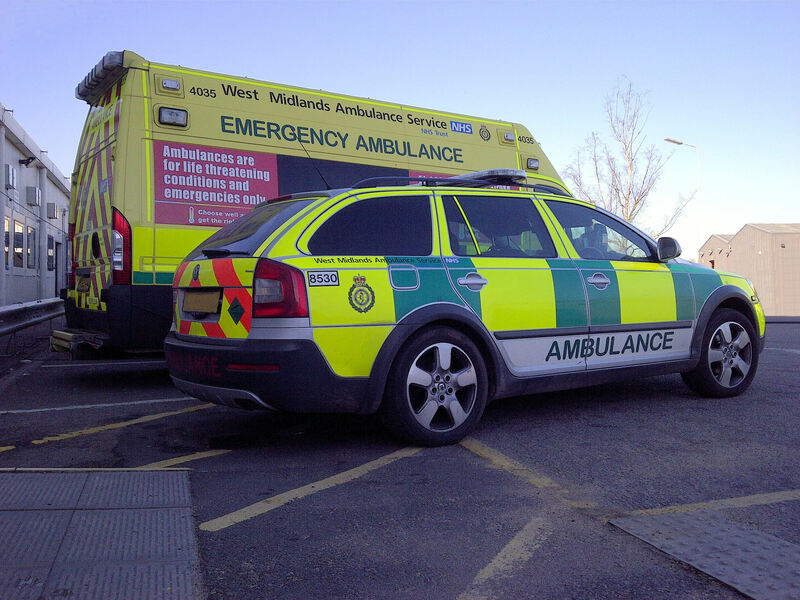 Ambulance staff administered treatment to the boy and immobilised him with a neck collar and spinal board before he was taken by land ambulance on blue lights to Birmingham Children’s Hospital. “A woman, in her 40s, was trapped in her vehicle and ambulance staff worked with the fire service to extricate her from the car. She sustained neck pain and was immobilised with a neck collar and spinal board as a precaution before being taken to Heartlands Hospital. Ambulance staff also treated and immobilised a 12-year-old girl as a precaution and she was taken to Good Hope Hospital. Thursday 31st March 2016 – 6.15pm – Murray MacGregor. A young girl has been taken to the region’s paediatric major trauma centre after falling off a wall and landing on her head. The incident happened in East Park in the Eastfield area of Wolverhampton at about 2.20pm on Thursday afternoon. An ambulance arrived in 8 minutes and was backed up by a paramedic area support officer, a critical care paramedic and the Midlands Air Ambulance from Cosford with the MERIT Trauma doctor on board. A West Midlands Ambulance Service spokesman said: “When crew arrived, they were told that the nine year old girl had fallen about 5 feet and landed on her head. “She was initially unconscious and had a head injury. Thursday 31st March 2016 – 3.15pm – Chris Kowalik. Two members of West Midlands Ambulance Service staff are celebrating the completion of a specialist course at the university where their Chief Executive is a Pro-Chancellor. Hazardous Area Response Team Support Manager John Woodhall and Director of Services Lead Louise Brierley spent three years of their spare time studying at the University of Wolverhampton for their Masters in Emergency Planning Resilience and Response. The course which covers areas such as business continuity and disaster management and recovery was also attended by staff members from other ambulance services, fire services and NHS England. John and Louise are pictured with Chief Executive Anthony Marsh who is also a Pro-Chancellor of the University. Thursday 31st March 2016 – 2.05pm – Murray MacGregor. 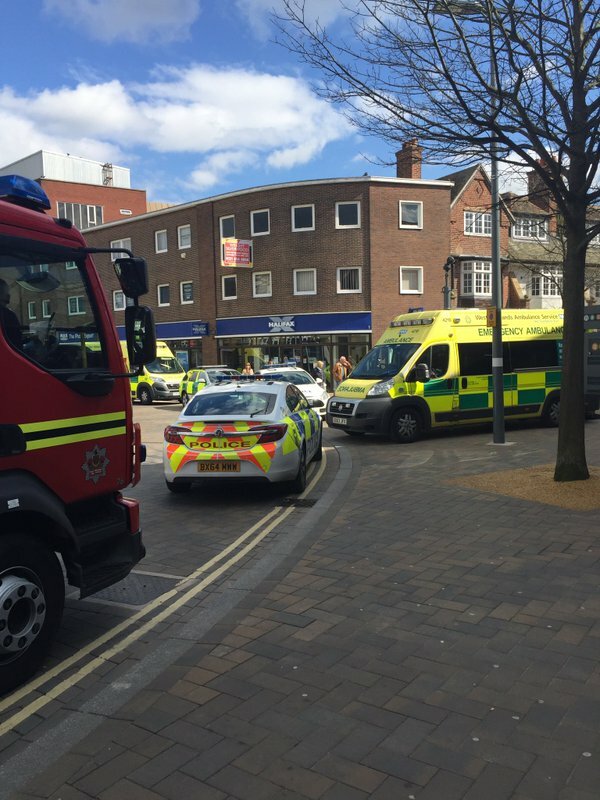 A woman has suffered serious injuries after falling down a lift shaft in a shop. The incident happened in the Starbucks in the High Street Solihull. Two ambulances and a paramedic officer were sent to the scene after a 999 emergency call at 12.35pm on Thursday lunchtime. 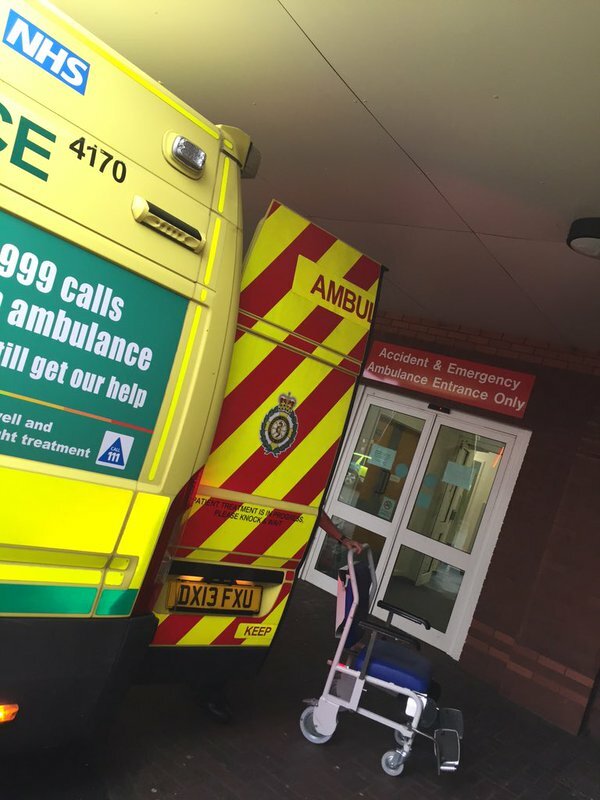 A West Midlands Ambulance Service spokesman said: “Ambulance staff were told that the woman in her 20s had tried to use the lift but when she stepped into the lift shaft there was nothing there and she fell approximately 25 feet to the bottom of the shaft. “Ambulance staff worked with firefighters to extricate her from the confined space. Thursday 31st March 2016 – 1.24pm – Murray MacGregor. A man has died after the car he was driving collided with a tree. The incident happened close to Homestead Farm in Hollington Road, Croxden near Uttoxeter. 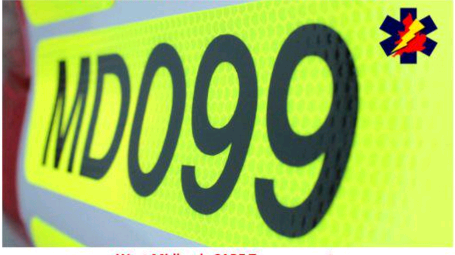 An ambulance and a rapid response vehicle were sent after a 999 emergency call at about 9.45am on Thursday morning. Thursday 31st March 2016 – 12.25pm – Chris Kowalik. A man has died following a collision involving the bicycle he was riding and a light goods vehicle in Worcestershire. West Midlands Ambulance Service was called to Hanbury Road, Bromsgrove shortly before 8.50am today. Two ambulance crews, a paramedic area support officer in a rapid response vehicle and the Midlands Air Ambulance from Cosford in Shropshire attended. Sadly, the cyclist was confirmed dead at the scene. Wednesday 30th March 2016 – 7.30am – Claire Brown. A quad bike which collided with a wall in Birmingham in the early hours has left two men injured. West Midlands Ambulance Service was called to the junction of Cherry Orchard Road and Coopers Road in Handsworth at 1.50am (Wednesday). Two ambulances and a MERIT trauma doctor attended. A West Midlands Ambulance Service spokeswoman said: “Two men in their 20s had reportedly been riding a quad bike when it collided with a wall. One man had sustained a loss of consciousness following the incident and ambulance staff suspected a head injury. He was given fluids and immobilised before being taken by land ambulance on blue lights to Queen Elizabeth Hospital Birmingham; the doctor travelled in the ambulance to continue monitoring and treatment. Tuesday 29th March 2016 – 1.00pm – Claire Brown. Whilst many enjoyed the four-day weekend, our staff pulled out all the stops to respond to people in their hour of need during Easter. The weather caused chaos for some areas in the West Midlands, with flooded roads, high winds and making driving conditions treacherous. Compared to the Easter period last year, the Trust saw an 11% increase in 999 calls with a total of 12,875 calls answered during the four days. Staffordshire and Worcestershire saw the biggest rise in calls; over 20% more compared to 2015. In contrast Herefordshire and Shropshire saw a slight decrease. Mark Gough, Assistant Chief Ambulance Officer, said: “What people won’t expect is that, as a Trust, we start planning for Easter before Christmas. A huge amount of preparation and hard work goes into ensuring we have the right number of staff, in the right areas at the right time to cope with the predicted demand we have come to expect during a Bank Holiday weekend. Sunday 27th March 2016 – 8.15pm – Murray MacGregor. Two adults and a child have had a fortunate escape after so many things that could have gone wrong, didn’t. 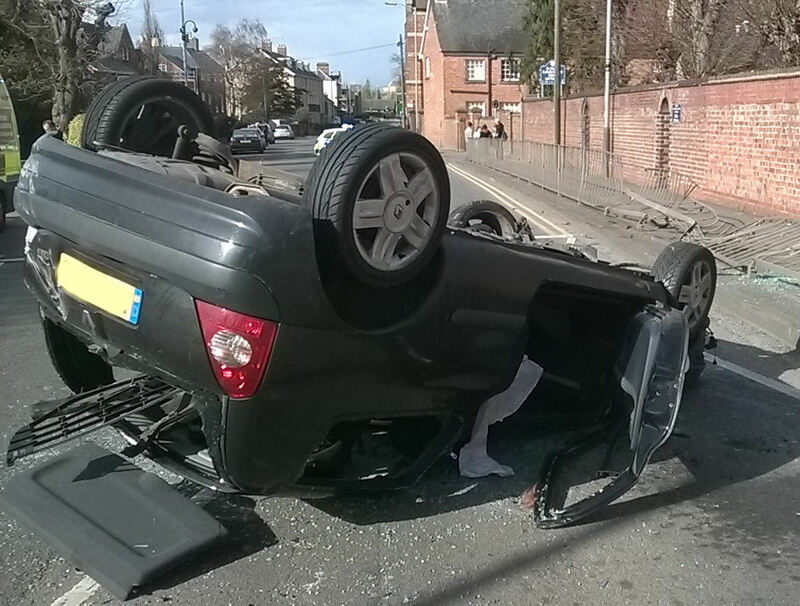 They were in a car that crashed in Dunchurch Street in Rugby, just outside Rugby School. An ambulance and a senior paramedic officer were sent to the scene after a 999 emergency call at 3.50pm on Sunday afternoon. A West Midlands Ambulance Service spokesman said: “When crews arrived they found a Renault Clio upside down and a length of metal railings protecting a footpath badly damaged and bent. “Thankfully, no-one was on the footpath at the time of the crash. Equally, it was fortunate that none of the railing entered the car. “There were two adults and a child in the car. The 24 year old man driving was uninjured. 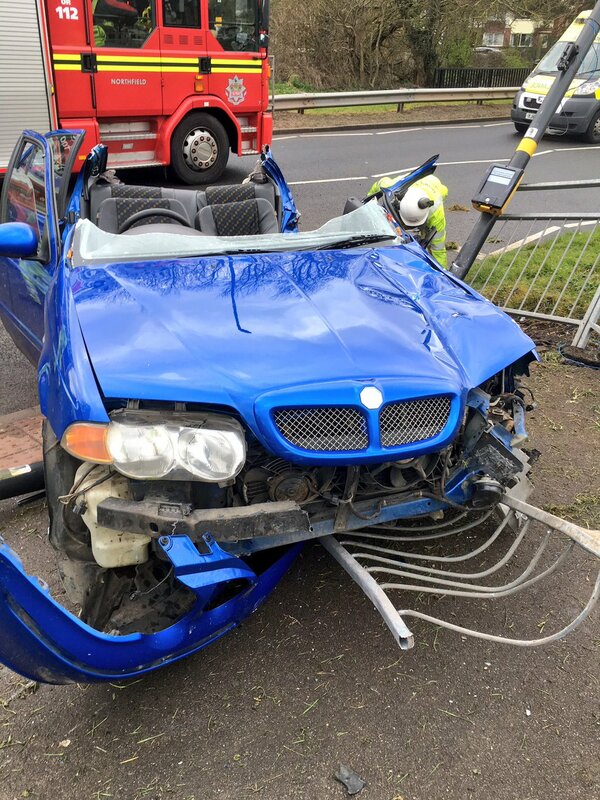 The 20 year old woman front seat passenger had a head injury and cuts and bruising – she was assessed by ambulance staff and taken to University Hospital Coventry & Warwickshire. “The 3 year old girl in the back was unhurt largely because she was well strapped into a good quality child seat; this undoubtedly protected her massively during the crash and should serve as a lesson to all parents with young children about the protection a child seat can provide. Sunday 27th March 2016 – 7.36pm – Murray MacGregor. A collision between a car and a Midland Metro Tram, shunted a car 10 feet down the track sideways. The incident happened at the station in Bilston Road in Ettingshall, Wolverhampton at just before 4.00pm on Sunday afternoon. An ambulance and a paramedic area support officer were sent to the scene. A West Midlands Ambulance Service spokesman said: “On arrival, crews found a car that had suffered significant damage to the passenger side having been shunted down the tracks. “Thankfully, the car driver, a man in his 60’s was not seriously hurt. After being assisted from the car by ambulance staff, he was assessed and only found to have some chest pain from his seatbelt. As a precaution, he was taken to New Cross Hospital for further assessment. Sunday 27th March 2016 – 8.35am – Murray MacGregor. 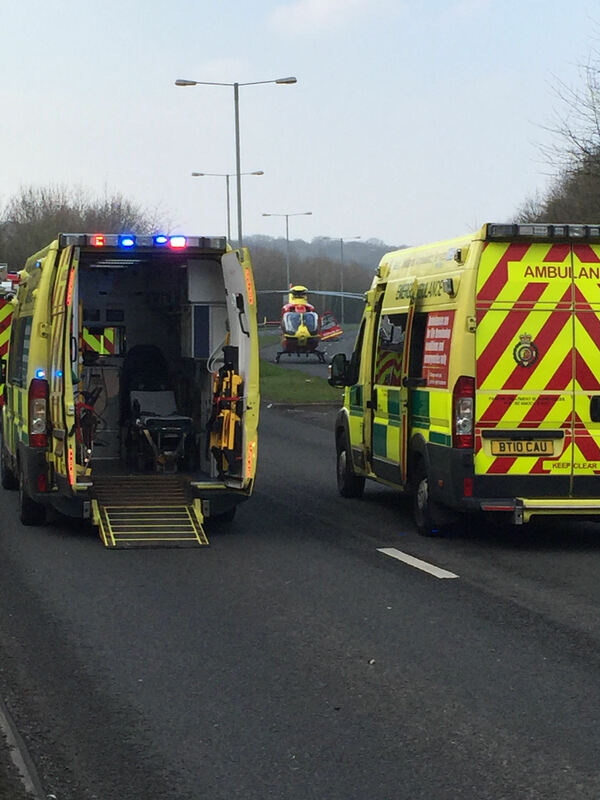 A man who was found semi-conscious in the road has been taken to a major trauma centre. The man was found by a passing motorist opposite the Shell Garage in Belvederre Road, Burton on Trent at about 4.20am on Sunday morning. The driver pulled him out of the road for safety. Two ambulances, one from East Midlands Ambulance Service and one from West Midlands Ambulance Service, were sent to the scene along with a rapid response vehicle. A West Midlands Ambulance Service spokesman said: “The man, who was estimated to be in his 20s, had suffered multiple injuries, the most serious of which was to his head. “Due to his condition, the ambulance staff asked for the MERIT Trauma doctor to be sent. “Due to the location of the MERIT doctor and the serious condition of the patient, it was agreed that the ambulance crew would rendezvous with the doctor en-route to the major trauma centre at Royal Stoke University Hospital. 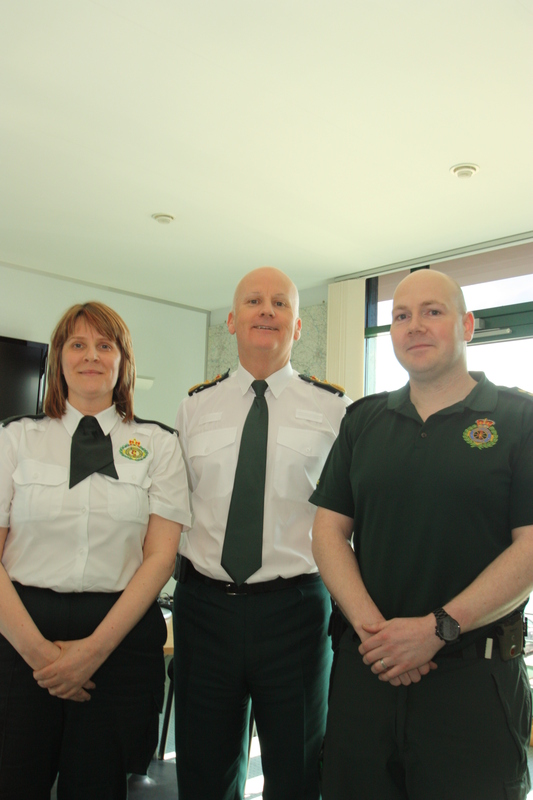 “The WMAS Regional Trauma Desk co-ordinated the two meeting just off the A38. On assessment by the doctor, the man was anaesthetised on the back of the ambulance before the doctor travelled with the crew to Stoke. Sunday 27th March 2016 – 7.50am – Murray MacGregor. A man’s suffered multiple injuries after the car he was in collided with a tree causing massive damage to the vehicle. An ambulance, a rapid response vehicle, a paramedic area support officer and a BASICS emergency doctor were sent to the scene after a 999 call at 2.50am on Sunday morning. A West Midlands Ambulance Service spokesman said: “When crews arrived they found a car that had collided with a tree. The car was facing at about 90 degrees to the road. 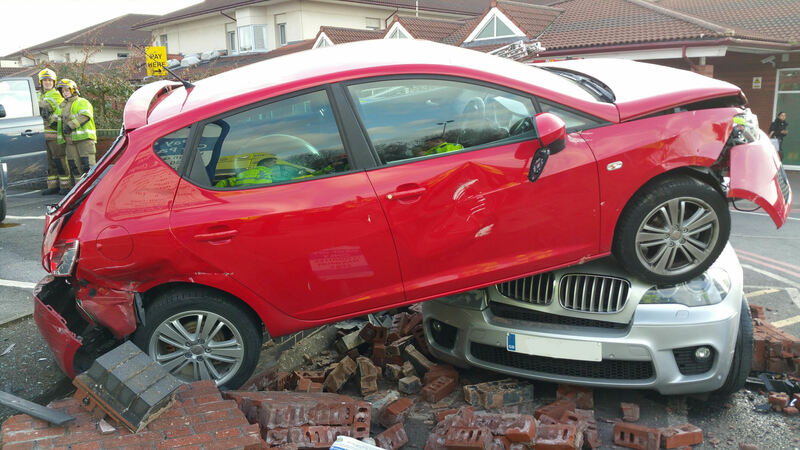 “The man driving was severely trapped due to the level of damage to the car. The engine block had come away from the chassis. “Ambulance staff and firefighters worked for well over an hour to get the man out of the vehicle. Sunday 27th March 2016 – 7.20am – Murray MacGregor. 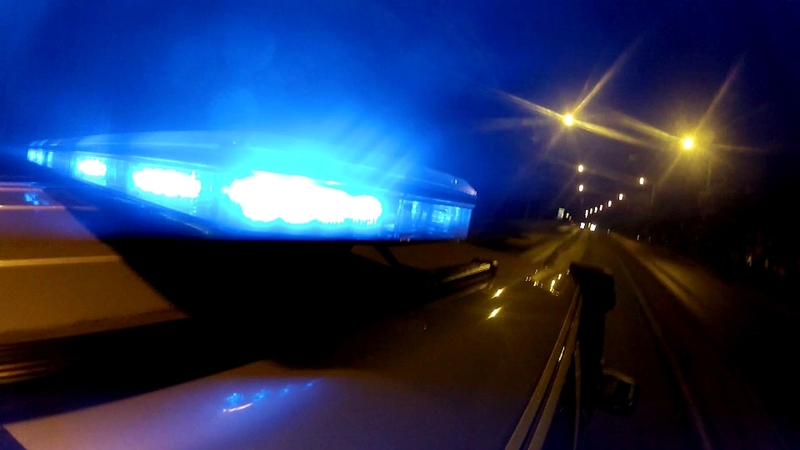 A man has died after the van he was in collided with a car and a railway bridge. It happened at the junction of the A51, Dog Lane and Bent Lane at Stableford in North Staffordshire. Two ambulances and a paramedic area support officer were sent to the scene after a number of 999 calls at about 7.55pm on Saturday night. A West Midlands Ambulance Service spokesman said: “The crash happened where the A51 makes a 90 degree turn to the left to go over the railway bridge. “The van had collided with the car and the bridge. Unfortunately, when ambulance crews arrived it quickly became apparent that nothing could be done to save the van driver and he was confirmed dead at the scene. Saturday 26th March 2016 – 4.30pm – Murray MacGregor. Two men have been injured after a crash that left the car they were in looking decidedly ‘banana’ shaped. The single vehicle crash in Shenley Lane in the Weoley area of Birmingham happened at about 1.15pm on Saturday lunchtime. A rapid response vehicle was on scene within three minutes of the call and was backed up by two ambulances. A West Midlands Ambulance Service spokesman, said: “Witnesses at the scene said that the car had rolled over twice before colliding with traffic lights. The car was on its wheels when ambulance staff arrived. “Ambulance staff were told that both men were briefly unconscious. However, one of the occupants was able to get out of the vehicle himself. He was immobilised with neck pain and a head injury. “The other occupant was freed after firefighters removed the roof. He was also treated for back injuries and was immobilised. Saturday 26th March 2016 – 7.07am – Murray MacGregor. 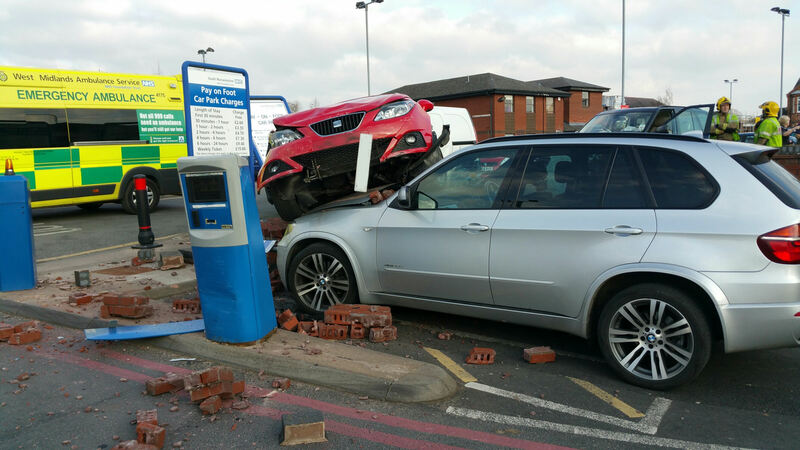 One man has been injured after a car crashed into a bus stop outside a busy A&E Department in the early hours. Ambulance crews who were at the A&E Department were flagged down by a member of the public at about 2.55am on Saturday morning. One of them walked to the scene but quickly asked for back up and a further ambulance was sent to the scene. A West Midlands Ambulance Service spokesman said: “When ambulance staff arrived they found a badly damaged car and bus stop. Saturday 26th March 2016 – 6.35am – Murray MacGregor. A trauma doctor who responded to a two car crash last night says the occupants of one of the cars are incredibly lucky to be alive. The crash happened on Barnhurst Lane in Wolverhampton at about 7.40pm on Friday night. Two ambulances and the MERIT Trauma doctor were sent to the scene. A West Midlands Ambulance Service spokesman said: “When crews arrived they found two cars that had been in collision. One had subsequently hit the railway bridge causing huge damage to the Audi. An off duty nurse and a police officer were on scene. “There were two men in their 40s in the car. One of the occupants had managed to get out of the vehicle and was complaining of chest pain. He was immobilised and taken to New Cross Hospital. “The first of five 999 calls suggested that the second occupant had initially been unconscious but had come round by the time crews arrived. The man was trapped for about 40 minutes by his feet. “Due to the serious nature of his chest injuries, ambulance and fire staff had to extricate him extremely carefully. After he was out of the vehicle he was assessed by the doctor before being taken to the major trauma centre at the Queen Elizabeth Hospital, Birmingham with chest, feet and head injuries. “Where the car ended up, it was only a couple of metres away from having gone through a fence and could easily have ended up on the railway line. Friday 25th March 2016 – 6.30pm – Murray MacGregor. A car was left facing at right angles to the traffic on a busy motorway after a crash involving two cars and a lorry. It happened in the northbound M6 motorway between junctions 10a and 11 just after the slip road from Hilton Park services. An ambulance and a paramedic area support officer were sent to the scene after no fewer than five 999 emergency calls at about 12.45pm on Friday lunchtime. A West Midlands Ambulance Service spokesman said: “The incident happened as a lorry came out of the services. 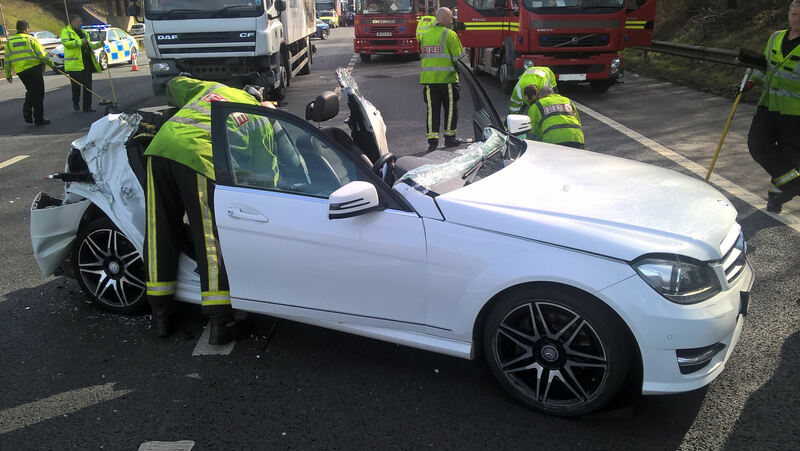 “When crews arrived they found a white Mercedes car at right angles to the traffic with significant rear and side damage, a lorry with front end damage and a second car with rear end damage. “The driver of the Mercedes was initially trapped. Firefighters worked with ambulance staff to free the man, who had minor facial injuries and broken right collar bone. “Once released, he was fully assessed and treated at the scene before being taken to Walsall Manor Hospital. “The driver of the other car, a man, was shaken but otherwise unhurt. A rear wheel had come off his car in the crash. Friday 25th March 2016 – 5,55pm – Murray MacGregor. The outcome of a lorry overturning onto its side could have been very different if it hadn’t happened in the lane it did. A rapid response vehicle, an ambulance, a paramedic area support officer, the Hazardous Area Response Team and the Midlands Air Ambulance from Staffordshire were sent to the scene at just before 12.20pm. A West Midlands Ambulance Service spokesman said: “An HGV carrying a load of steel toppled onto its side as it went round the island. “Fortunately it happened while the lorry was in ‘lane 3’, the closest to the middle of the island. The load landed harmlessly. “The driver, a man estimated to be in his 40s, was initially trapped. 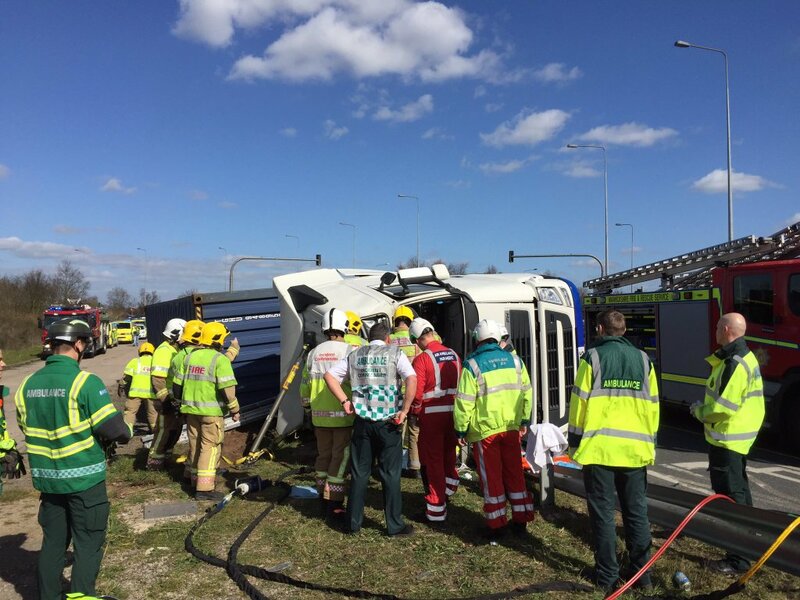 Ambulance staff worked with firefighters to extricate the man who had suffered a deep laceration to his upper arm. Friday 25th March 2016 – 5.30pm – Murray MacGregor. 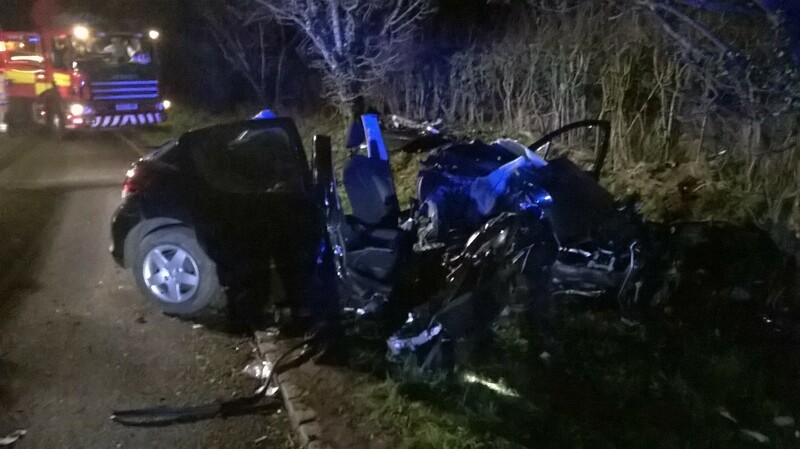 A driver has been taken to a major trauma centre in a critical condition after a two car crash. It happened at the junction of Bradford Street and Alcester Street in Birmingham at around 11.10am on Friday morning. Two ambulances, a paramedic area support officer and the West Midlands Care Team were sent to the scene. 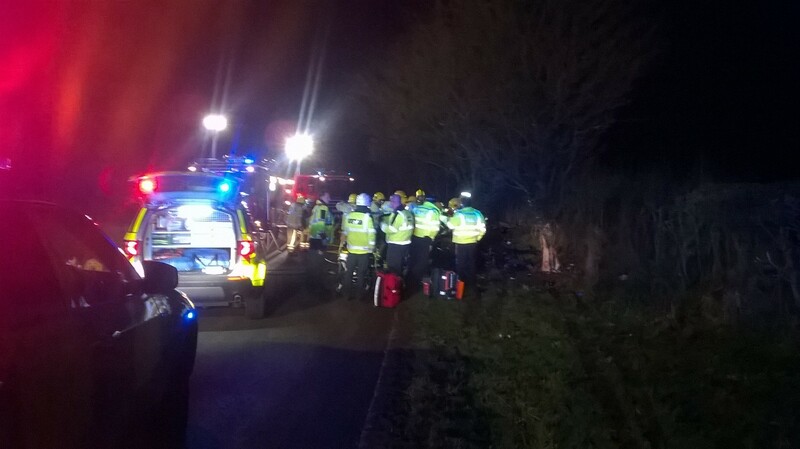 A West Midlands Ambulance Service spokesman said: “When crews arrived they found two cars that had been in a collision. One car was against the traffic light control box; the other was against a street light. “The driver of the first car had suffered a serious head injury. 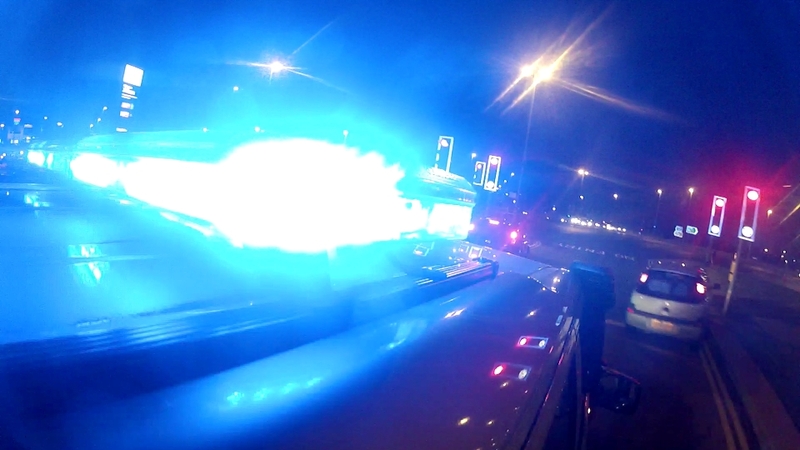 “After treatment at the scene, the man was taken on blue lights to the major trauma centre at the Queen Elizabeth Hospital Birmingham; the doctor travelled with the crew. Friday 25th March 2016 – 5.03pm – Murray MacGregor. A man’s been airlifted after being seriously injured when a car left the road and struck metal railings. It happened at about 10.35am on Friday morning near Park Farm Lodge Care Home in Park Farm Road, Kettlebrook near Tamworth. A rapid response vehicle was on scene within two minutes of the call and was backed up by an ambulance, a paramedic area support officer and the Warwickshire and Northamptonshire Air Ambulance. A West Midlands Ambulance Service spokesman said: “The car had suffered severe damage to the passenger side. “When the response vehicle arrived, the front seat passenger was trapped half in and half out of the window. “Working with firefighters, the man was rapidly extricated from the vehicle. “The 24 year old had suffered significant facial and head injuries. The doctor decided to anaesthetise him at the scene before he was flown to the Major Trauma Centre at University Hospital Coventry & Warwickshire with serious but not life threatening injuries. 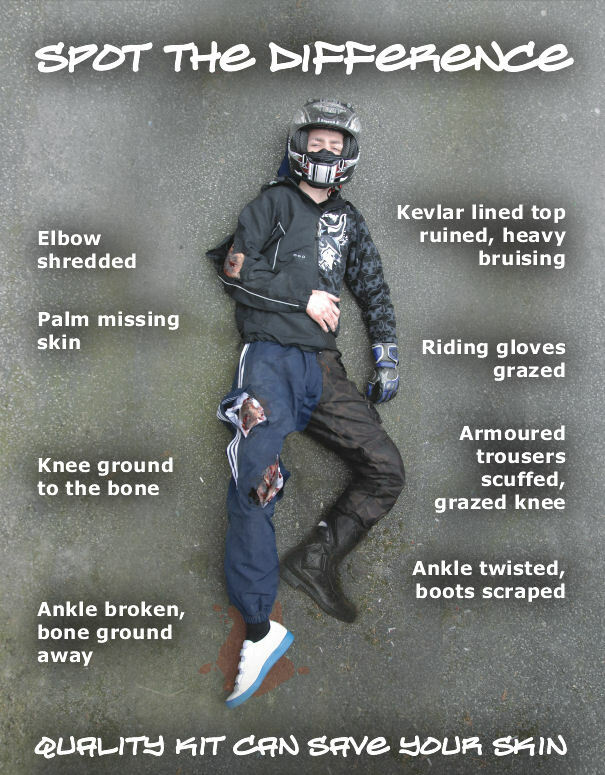 Ever wondered why you should wear leathers while riding a motorbike? Friday 25th March 2016 – 10.00am – Murray MacGregor. A motorcyclist who slid along a busy dual carriageway has his leather to thank for not suffering horrific hip injuries. The incident happened at the junction of the A50 and A500 in Stoke on Trent at about 8.20am on Friday morning. One ambulance came across it about five minutes after the call and a second that had been dispatched, along with a paramedic area support officer, arrived a minute later. A West Midlands Ambulance Service spokesman said: “The rider, a 24 year old man, told crews that he came off his bike and had slid a considerable distance along the road surface. “Thankfully he was wearing full leathers, but the protection had been worn almost completely through on his hip and right forearm. “He was complaining of pain in his right hip as well as abrasions and bruising. He also had left ankle pain. “The man was taken on blue lights to Royal Stoke University Hospital as a precaution. Friday 25th March 2016 – 6.40am – Murray MacGregor. One person has been injured after a large fire. It happened in a building in Wood Lane, in the Erdington area of Birmingham. 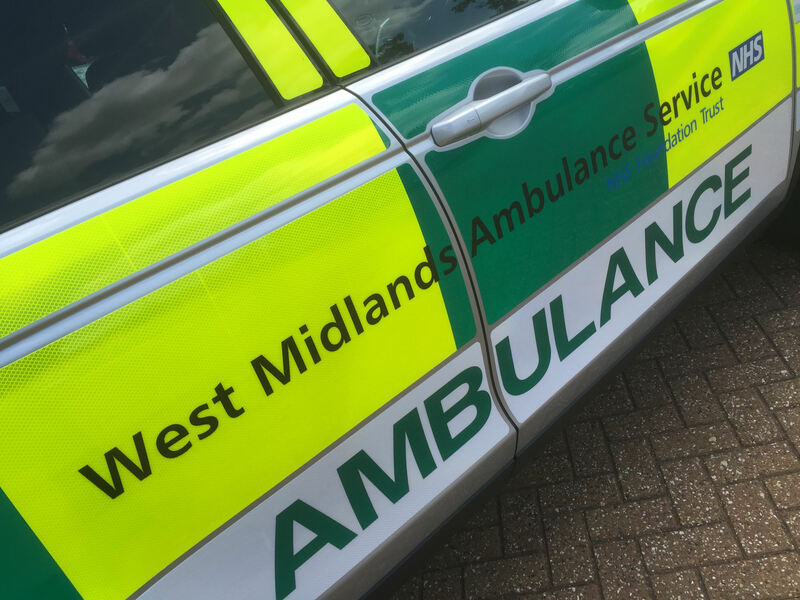 An ambulance, a paramedic area support officer and the Hazardous Area Response Team were sent to the scene after a large number of calls to West Midlands Fire Service at around 11.10pm on Thursday evening. A West Midlands Ambulance Service spokesman said: “Ambulance staff assessed one man who firefighters had brought out of the building. “He had lacerations to his left shoulder and right foot as well as relatively minor burns to his left hand and right forearm. Thursday 24th March 2016 – 5.45pm – Chris Kowalik. A group of trauma doctors out on a bike ride were immediately on hand to help when they witnessed a crash involving a car and a motorbike. It happened in Clifford Chambers in Warwickshire. West Midlands Ambulance Service was called shortly after 1.50pm today. Two rapid response vehicles driven by an advanced community paramedic and a paramedic area support officer attended along with an ambulance crew and the Midlands Air Ambulance from Strensham in Worcestershire. A West Midlands Ambulance Service spokesman said: “The injured motorcyclist, a man in his late teens, was being treated by the cyclists, who happened to be trauma doctors. Our crews at the scene said they were brilliant. 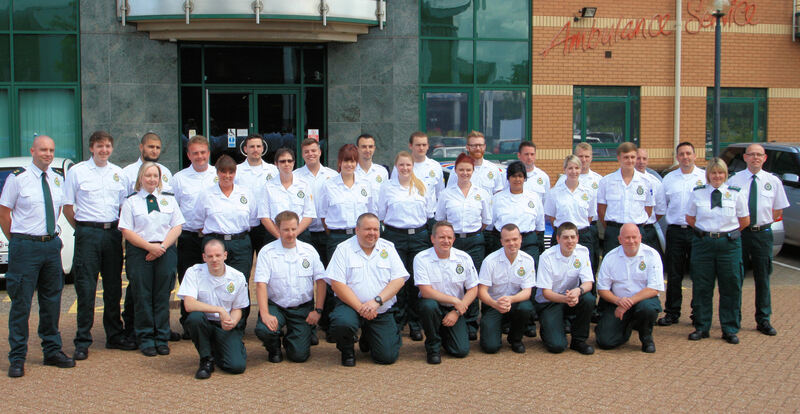 Become a paramedic with West Midlands Ambulance Service! Thursday 24th March 2015 – 3.45pm – Chris Kowalik. West Midlands Ambulance Service is once again looking to give hundreds of people the chance to become a paramedic. We will not only train you to become a lifesaver, we’ll pay you to do it too! The new roles are being created to increase the paramedic workforce of the Trust still further; we already have one of the highest skill mixes in the country. It will also help Trust to meet the increased demand that we have been experiencing. Trust Chief Executive Anthony Marsh said: “As a paramedic you will have one of the most amazing careers; saving lives and helping people in their hour of need. There are student paramedic positions available within the Black Country, Birmingham, Staffordshire and Coventry & Warwickshire. The 30-month training course will lead to you becoming a state registered paramedic. To apply, you need to hold a minimum of 5 GCSEs (inc. English, Maths and Science) plus an A – Level qualification or equivalent. In addition, successful applicants must demonstrate a passion to deliver excellent patient care and hold a full UK driving licence with no more than 3 points. You must also have a Category C1 licence, a provisional C1 or have applied to gain one with DVLA. Applications must be made before 11.59pm on Monday 4th April 2016. You can request a paper application by calling the Recruitment Team on 01384 215 896. Appointments will be subject to a satisfactory Enhanced Disclosure and Barring Service check, references and medical clearance (you will be advised of the process by WMAS). Wednesday 23rd March 2016 – 8.25pm – Murray MacGregor. A horse rider who was found wandering in a country lane, unsure of what had happened to himself, has been airlifted to a major trauma centre. The man was found near To Summerhill Junction by Brynore Hall in the Criftins area near Ellesmere at around 12.50pm on Wednesday lunchtime. A community first responder from the St Martins scheme was first on scene and was backed up by an ambulance. A West Midlands Ambulance Service spokesman said: “The 51 year old was wearing a riding helmet and body protection but was in a confused state. A horse was found running free nearby in the lane. 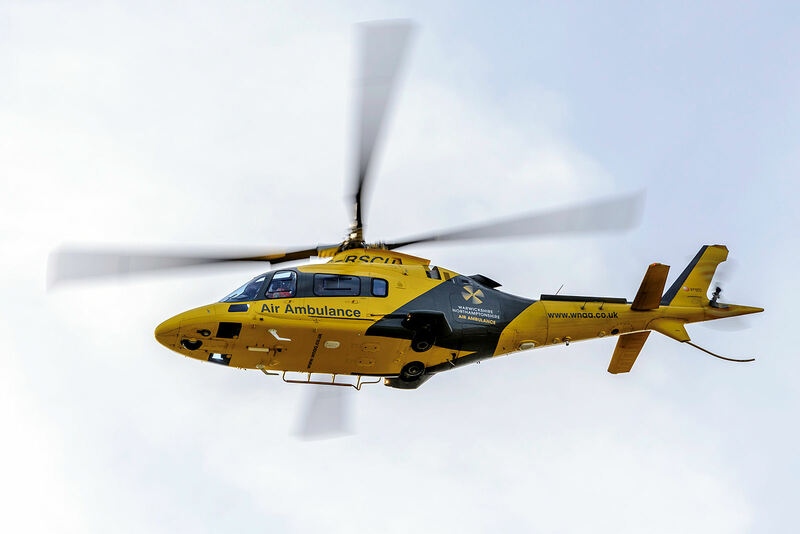 “The staff on scene tried to stabilise his condition as he had a head injury but in the end requested an air ambulance with a trauma doctor on board. The Midlands Air Ambulance from Cosford was immediately dispatched. Wednesday 23nd March 2016 – 9.35am – Murray MacGregor. A woman has died after a house fire. The tragic incident happened in Birchdale Road in the Erdington area of Birmingham early this morning (Wednesday). 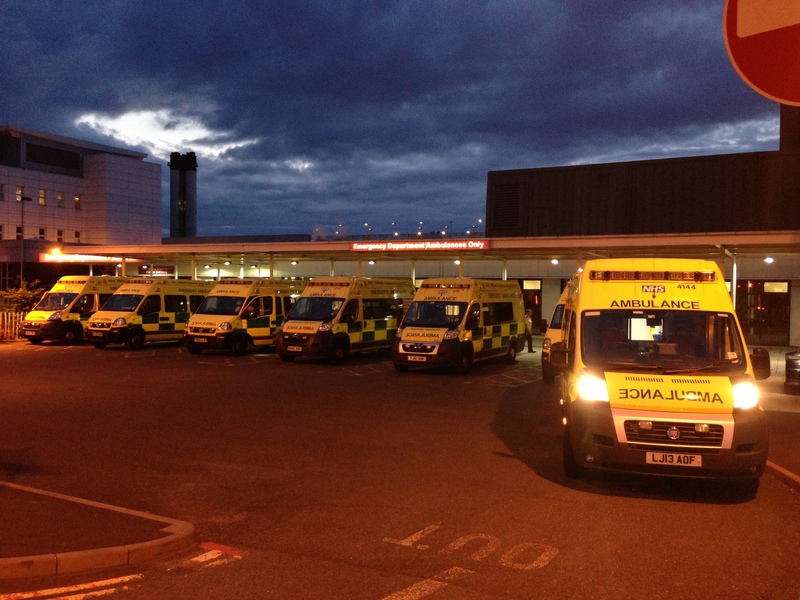 West Midlands Ambulance Service was called by West Midlands Fire Service at around 5.20am. Two ambulances, a paramedic area support officer and the MERIT Trauma doctor were sent to the scene. A West Midlands Ambulance Service spokesman said: “Firefighters had brought a woman out of the property and started CPR. “The first ambulance crew, that arrived within five minutes of the call, took over and started advanced life support. Tuesday 22nd March 2016 – 12.10pm – Murray MacGregor. A refuse collector has been injured after he was caught between the bin lorry he was working on and a car. 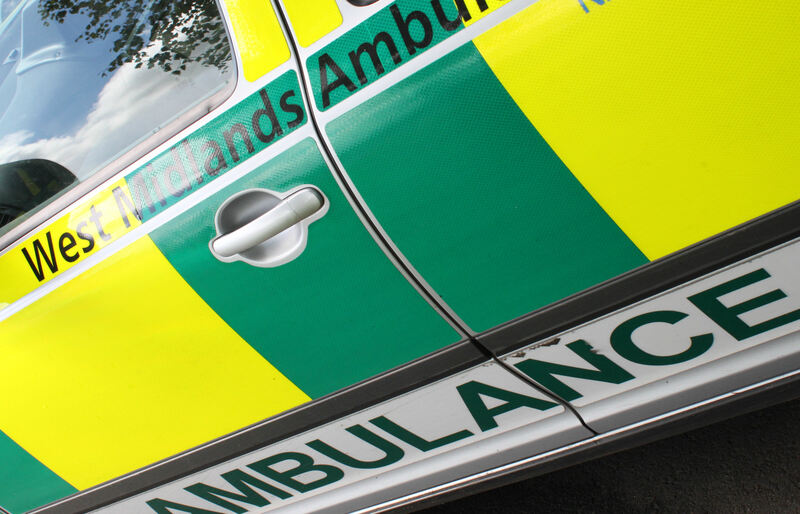 An ambulance was sent after the incident happened in Coldstream Drive in the Wordsley area of Stourbridge at about 7.50am this morning (Tuesday). 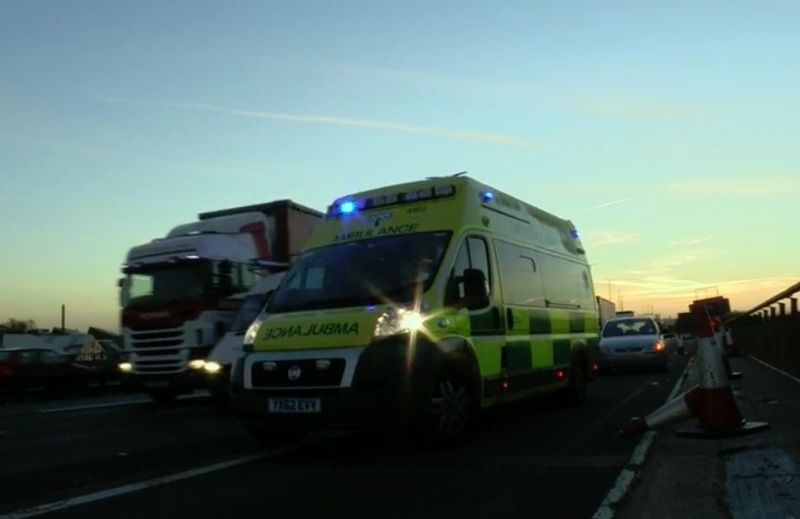 A West Midlands Ambulance Service spokesman said: “When crews arrived they found a 53 year old man who had suffered an arm injury after he was caught between the car and lorry as the car went by the lorry. “His two colleagues, who had gone to assist him when the incident happened, were also checked over. The 48 and 37 year old men were discharged at the scene. “The 53 year old was taken to Russells Hall Hospital for further assessment and treatment. Monday 21st March 2016 – 7.15pm – Murray MacGregor. 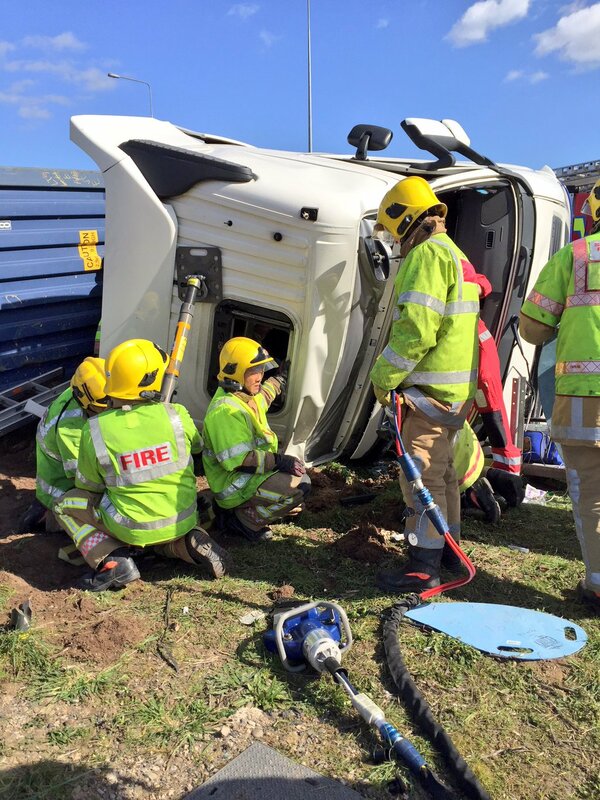 A man has suffered ‘crush’ injuries after getting trapped after a jack collapsed while he was changing the wheel of a van. The incident happened near to the junction of Ball Lane and the A449 at Coven, north of Wolverhampton at about 5.00pm on Monday evening. An ambulance, a rapid response vehicle, a critical care paramedic and the Midlands Air Ambulance from Cosford were sent to the scene. A West Midlands Ambulance Service spokesman said: “When crews arrived they were told that the 48 year old, who lives locally, had been changing a rear tyre. “He was underneath the back of the van when the jack collapsed and he was trapped on his front. “Other people who were also travelling in the van quickly reset the jack and, after raising the vehicle, pulled him out from underneath. “Their quick actions undoubtedly helped reduce the level of injury as he was trapped for only a matter of minutes. Monday 21st March 2016 – 6.50pm – Murray MacGregor. A pedestrian has suffered serious injuries and been taken to a major trauma centre after a crash with a car. It happened near the junction of Coventry Road and Kings Road in the Yardley area of Birmingham at about 3.15pm on Monday afternoon. A West Midlands Ambulance Service spokesman said: “On arrival crews found a woman who had ended up in the road and a car that had suffered damage to the windscreen. “The woman, estimated to be in her 40s, had suffered a number of potentially serious injuries. “After being assessed and treated at the scene, she was taken to the major trauma centre at the Queen Elizabeth Hospital in Birmingham on blue lights with a request for a trauma team to be on standby. Monday 21st March 2016 – 3.30pm – Claire Brown. 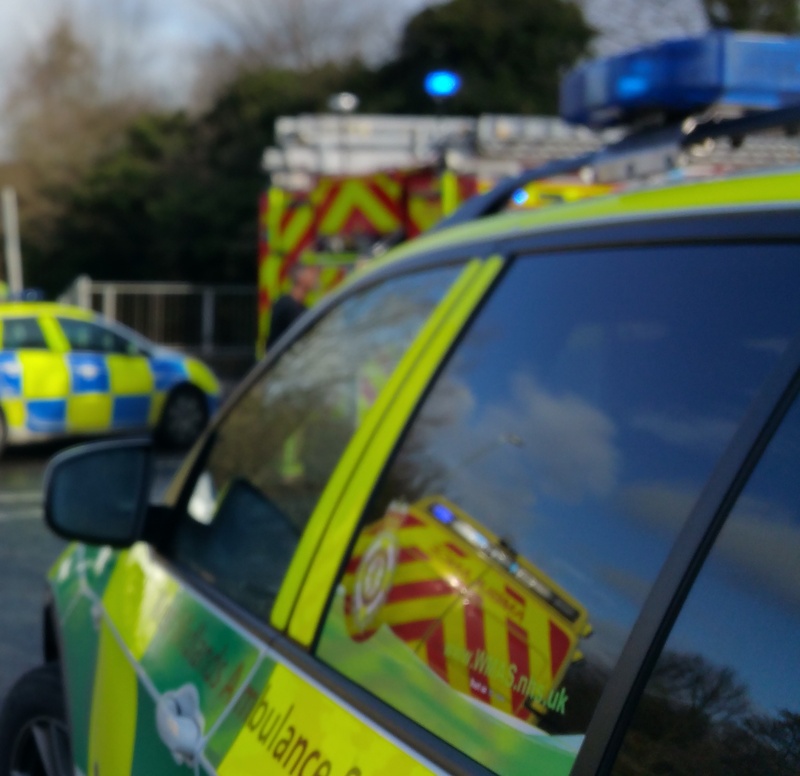 One man has died and two women required trauma care by ambulance staff following a two car road traffic collision this afternoon in Kidderminster. West Midlands Ambulance Service was called to the Worcester Road near to Hartlebury shortly after 1.00pm (Monday). A community paramedic, two ambulances, a paramedic area support officer, a MERIT trauma doctor and the Midlands Air Ambulances from both Cosford and Strensham airbases attended. A West Midlands Ambulance Service spokeswoman said: “Two cars had been involved in a collision. Sadly, it quickly became apparent to ambulance staff that nothing could be done to save the driver of one car, a man, and he was confirmed dead on scene. “The passenger of the same car, a woman, had managed to get herself out of the vehicle but upon assessment was found with a number of injuries which required treatment. Due to the nature of the collision, the woman was fully immobilised and taken by land ambulance to Worcestershire Royal Hospital for further assessment. “The driver of the second car, a woman believed to be in her 50s, sustained multiple serious injuries and was trapped in the vehicle. Ambulance staff, the doctor and fire fighters worked quickly to rapidly extricate her from the wreckage. 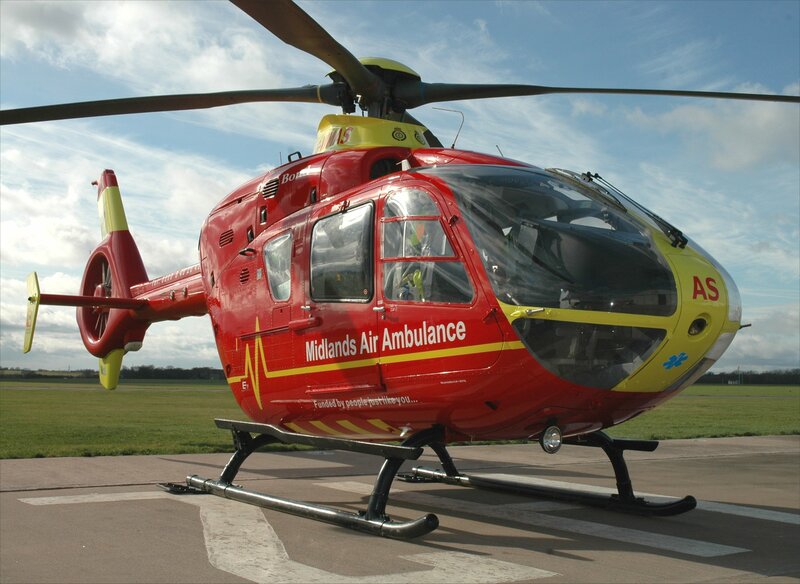 Once released, the woman received vital trauma care at the roadside before being airlifted to Queen Elizabeth Hospital Birmingham, a regional trauma centre. The woman is said to be in a serious condition. Monday 21st March 2016 – 6.10am – Chris Kowalik. West Midlands Ambulance Service was called to the A452 Collector Road shortly after 3.50pm yesterday. The West Midlands CARE (Central Accident, Resuscitation & Emergency) Team, a BASICS (British Association for Immediate Care) Doctor, a paramedic area support officer, two ambulance crews and the Warwickshire and Northamptonshire Air Ambulance attended. Sunday 20th March 2016 – 5.10pm – Chris Kowalik. 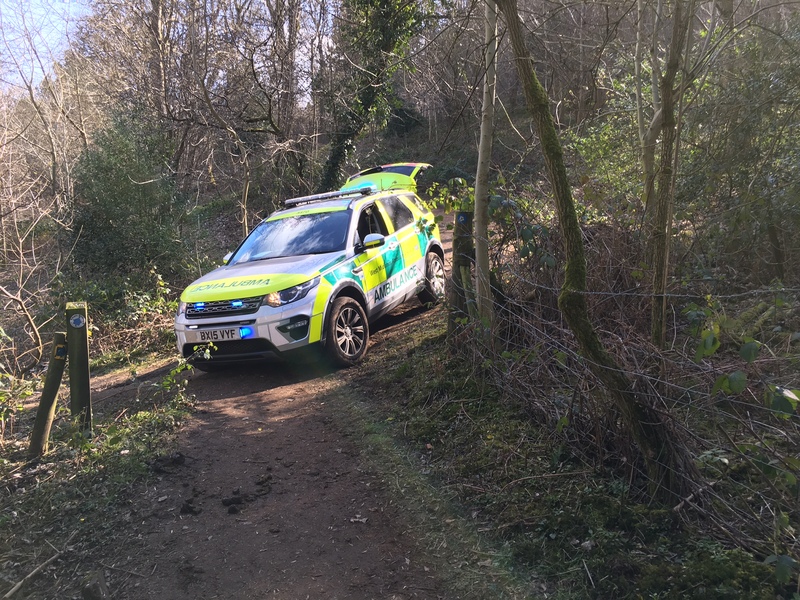 This steep, wet muddy track was no match for one of West Midlands Ambulance Service’s 4×4 response vehicles. It meant the paramedic area support officer driving it was able to get to a woman who had fallen from her horse in a country park in Hartshill in Warwickshire. A West Midlands Ambulance Service spokesman said: “We were called shortly before 12.10pm to a report of a woman who had fallen from a horse who itself fell, entangling the rider in barbed wire fencing. “The 4×4 managed to reach the rider along the bridle path in the wooded area. A ‘normal’ ambulance that was also sent had to park in a car park 25 minutes’ walk away. The Warwickshire and Northamptonshire Air Ambulance also attended and was able to land in a nearby field. Sunday 20th March 2016 – 4.20pm – Chris Kowalik. 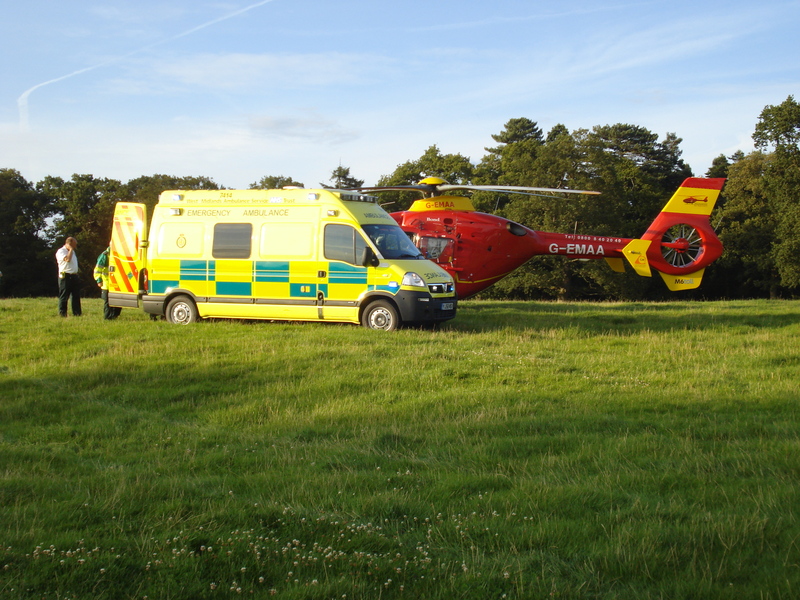 The Midlands Air Ambulance team in Staffordshire was quickly on hand at a motocross event where a rider fell from his bike. West Midlands Ambulance Service was called shortly before 10.50am today to an event at Trent Raceway in Needwood, near the Midlands Air Ambulance base at Tatenhill. A West Midlands Ambulance Service spokesman said: “It was so close to the airbase that it was quicker for the crew to attend initially by car. Saturday 19th March 2016 – 7.45pm – Chris Kowalik. 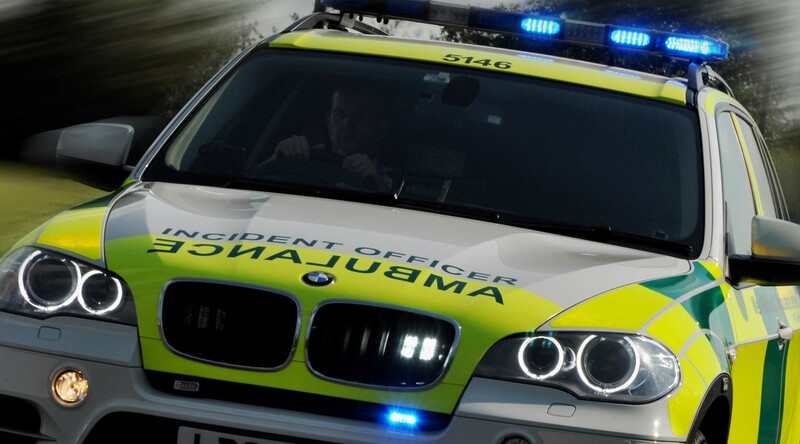 Three people have been injured, one suffering a broken arm, following a collision involving three cars in the Black Country. 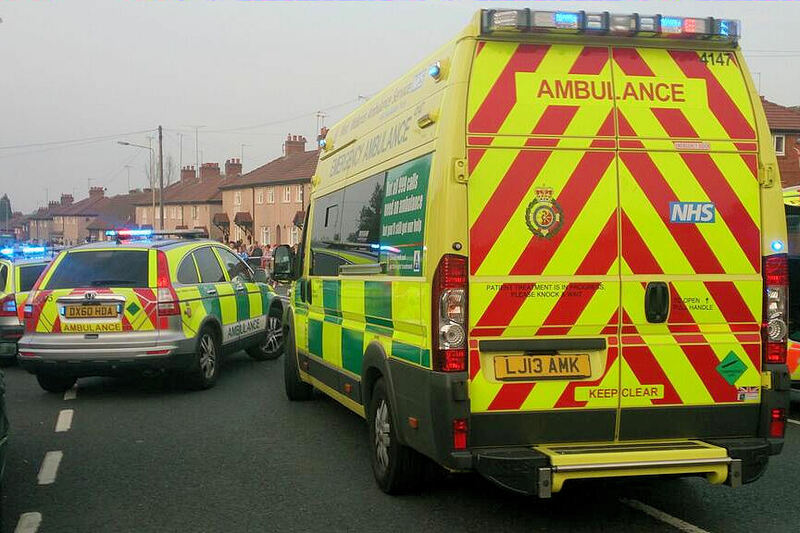 West Midlands Ambulance Service was called to Tansey Green Road, Pensnett shortly after 6pm today. 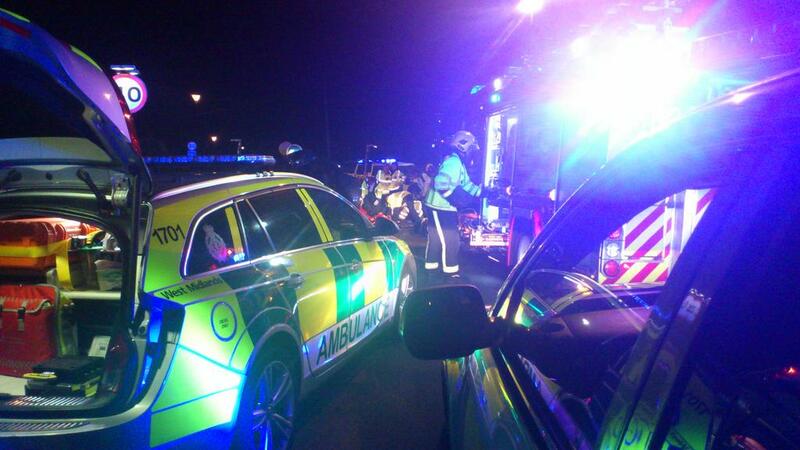 The West Midlands Central Accident Resuscitation Emergency (CARE) Team, a paramedic in a rapid response vehicle and three ambulance crews attended. An off-duty paramedic who was in the area also stopped to help. A West Midlands Ambulance Service spokesman said: “A woman passenger in one of the cars had a broken arm. She was trapped and, with the help of the fire service, was freed through the vehicle’s front windscreen. She was immobilised and taken to Russells Hall Hospital. “There were also two ‘walking wounded’ casualties; a man who was driving one of the cars and a man who was a passenger in one of the others. They were both also taken to Russells Hall Hospital. Thursday 17th March 2016 – 9.35am – Chris Kowalik. 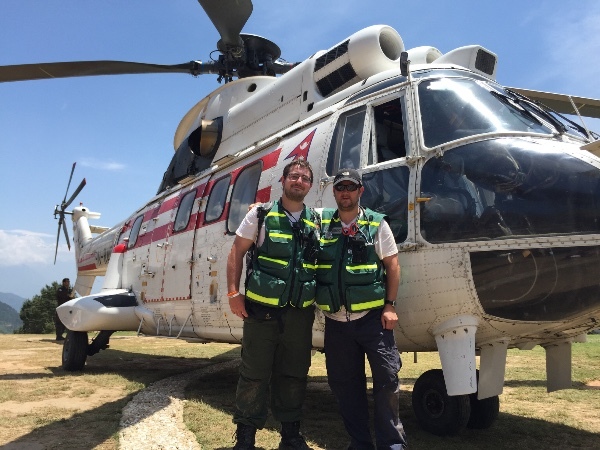 A West Midlands Ambulance Service paramedic will fly back this week to Nepal to hand over more than £8,000 raised to help victims of last year’s earthquakes. 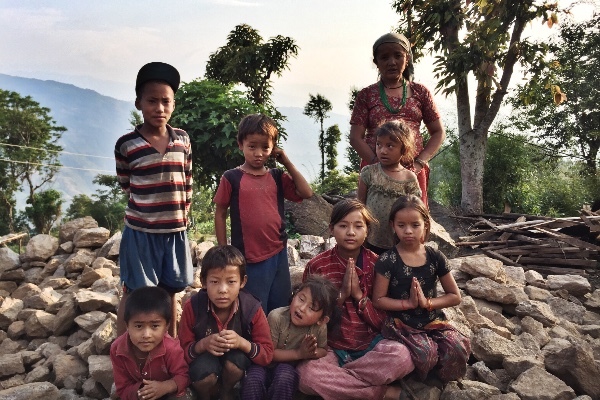 Phil Llewellyn, based in Pershore visited the country in May 2015 following its first earthquake 80km north-west of the capital Kathmandu. While he was there, a second earthquake struck near the Chinese border. He also visited a longstanding friend whose village and family were wiped out. Since his visit, Phil has given talks and presentations about his experiences in Nepal and helped organise a Summer Ball last year to raise money which he will give to his friend’s community in order for them to rebuild their village. Phil will be joined by eight other people; among them doctors, nurses and colleagues from West Midlands Ambulance Service who will take with them clothes, stationary, medical supplies and toiletries for the villagers. Phil is available for interview on Friday 18th March. Wednesday 16th March 2016 – 6.35pm – Murray MacGregor. 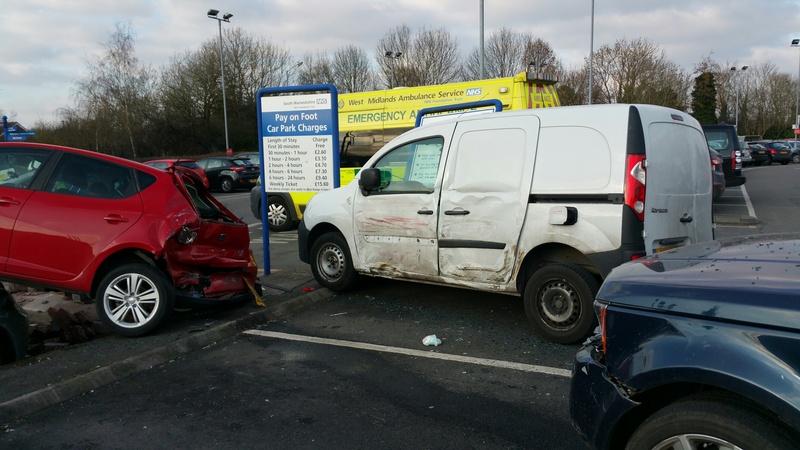 Ambulance, fire and hospital staff were left stunned after they responded to reports of a crash in a hospital car park to find a car on top of a 4×4 and another two vehicles damaged. The incident happened in the car park of Warwick Hospital at about 4.20pm on Wednesday afternoon. An ambulance crew who were already at the hospital immediately ran to the scene and were backed up by a further ambulance and a paramedic area support officer. 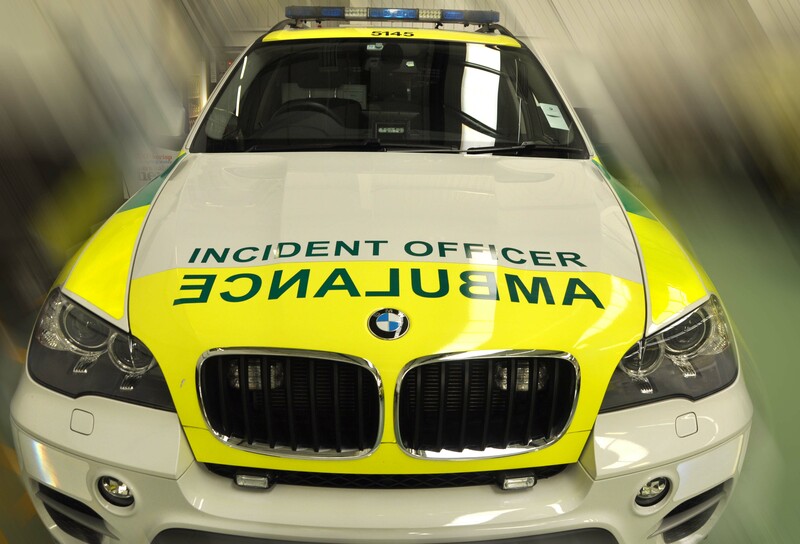 A West Midlands Ambulance Service spokesman said: “When crews arrived they found a middle aged man in a 4×4 Land Rover who had appeared to have suffered a medical episode at the wheel. “The vehicle had collided with a white van and a red Seat. The Seat had been pushed through a small wall and had come to rest on the bonnet of a silver BMW X5. “The driver of the Land Rover was assisted out of the vehicle by ambulance crews and assessed before being taken into the hospital for further tests. Wednesday 16th March 2016 – 12.15pm – Murray MacGregor. ‘How no-one was killed is astonishing.’ These the words of ambulance staff at the scene of a crash involving three vehicles that left a sheep trailer on top of a car. The crash happened on the A49 near to the Toyota Garage at Callow in Herefordshire at just before 9.20am on Wednesday morning. Two ambulances, a paramedic area support office, the Midlands Air Ambulance from Strensham and a BASICSs Emergency Doctor from the Mercia Accident Rescue Service . A West Midlands Ambulance Service spokesman said: “When crews arrived they found a silver BMW with a trailer carrying about 30 sheep on top of it. The Land Rover Defender that had been pulling it had serious front end damage. A silver Honda Civic was against the hedge at the side of the road with significant damage. “The man driving the Civic was severely trapped. Excellent teamwork from ambulance staff and firefighters enabled the man to be treated as the car was being cut away to get the man out. “He suffered a nasty fracture to his leg. After pain relief from the doctor, he was removed from the car, immobilised and had his leg splinted. After further assessment, he was taken by land ambulance to Hereford County Hospital. “A woman of a similar age and a 3 year old boy who had also been travelling in the Civic were taken to the same hospital as a precaution, but appeared uninjured. “There was a 41 year old mother and two young children in the BMW – a 1 year old boy and 5 year old girl. All three were able to get out of the car unaided. Other than being badly shaken by the incident, they were unhurt. They were assessed by the doctor but did not require any further treatment and were discharged on scene. 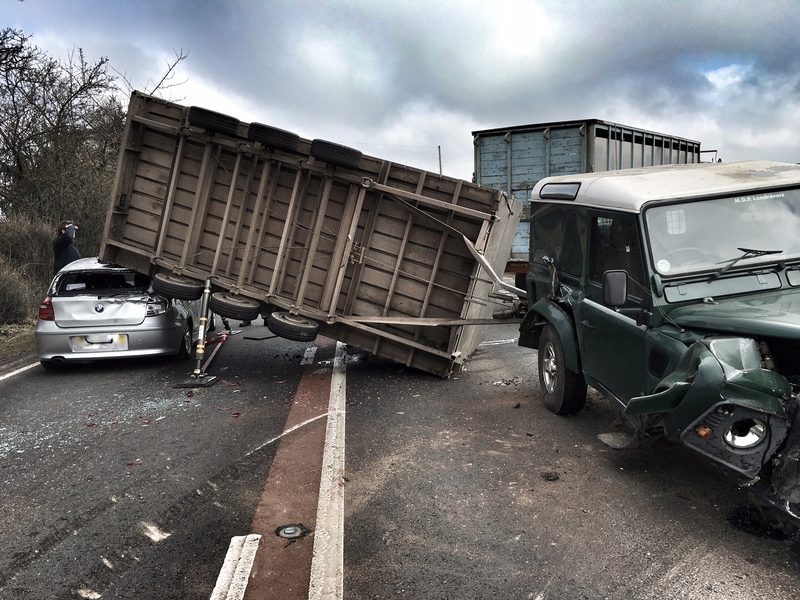 “The man driving the Land Rover was also assessed at scene but was again uninjured. Unfortunately, a number of the sheep being carried in the trailer had to be put down at the scene. Wednesday 16th March 2016 – 11.20am – Murray MacGregor. A four vehicle crash on the M6 that left one man trapped. The collision on the southbound carriageway between junctions 3 and 2 at Coventry happened at 8.35am on Wednesday morning. Two ambulances and a paramedic area support officer were sent to the scene. A West Midlands Ambulance Service spokesman said: “On arrival, ambulance staff found two cars that had suffered significant damage. A dark coloured Mercedes that had front end damage and a white Audi that had rear end damage and was against the central reservation. Two other cars had only minor damage. “The driver of the Audi, a man estimated to be in his 40s, was trapped in the vehicle with a back injury. While ambulance staff treated him, firefighters removed the roof of the car. “After assessment and treatment at the scene, the man was taken to University Hospital Coventry & Warwickshire. “The driver of the Mercedes, a man estimated to be in his 50s, was taken to the same hospital with right leg pain. Highways England reported delays on the M6 back to junction 4 and on surrounding routes. Wednesday 16th March 2016 – 7am – Chris Kowalik. A teenager has been taken to a major trauma centre after she was involved in a collision with a car. West Midlands Ambulance Service was called to Pershore Road shortly after 3.15am today. An advanced community paramedic in a rapid response vehicle, an ambulance crew and the Medical Emergency Response Incident Team (MERIT) attended. Tuesday 15th March 2016 – 10.34am – Murray MacGregor. 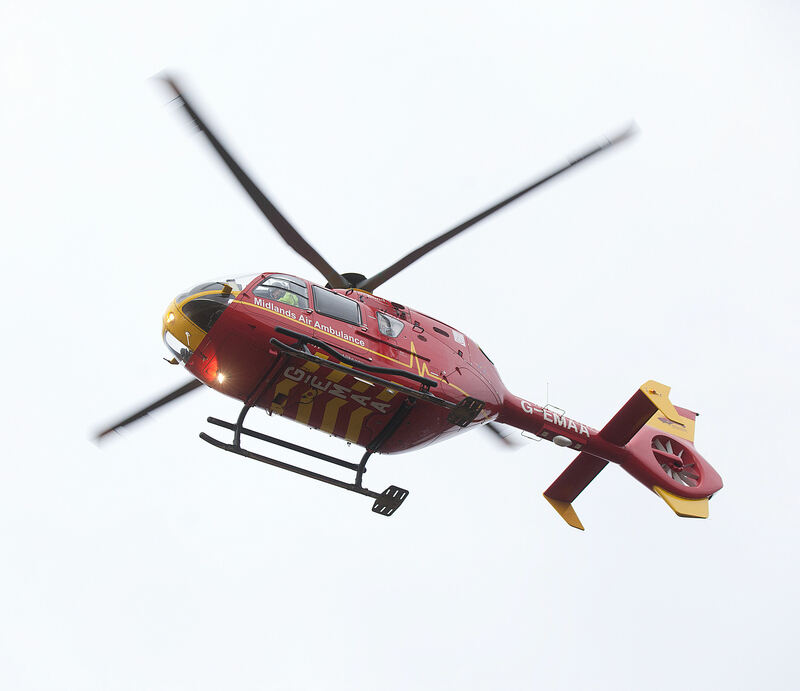 A teenage girl has been airlifted to a major trauma centre after she was involved in a collision with a car. It happened on Hodge Hill Avenue in Wollescote, Stourbridge at 8.00am this morning. Two ambulances, the Midlands Air Ambulance from Cosford with a trauma doctor on board and a senior paramedic manager were sent to the scene. A West Midlands Ambulance Service spokesman said: “On arrival, ambulance staff found a 16 year old girl who had suffered a potentially serious head injury. She had initially been reported to be unconscious but had started to come round while ambulance staff were treating her. “After assessment, the doctor on the aircraft anaesthetised her at the scene before she was airlifted to Queen Elizabeth Hospital Birmingham. She had also been immobilised. Tuesday 15th March 2016 – 7.30am – Chris Kowalik. Two boys have been involved in a collision with a car in Birmingham. 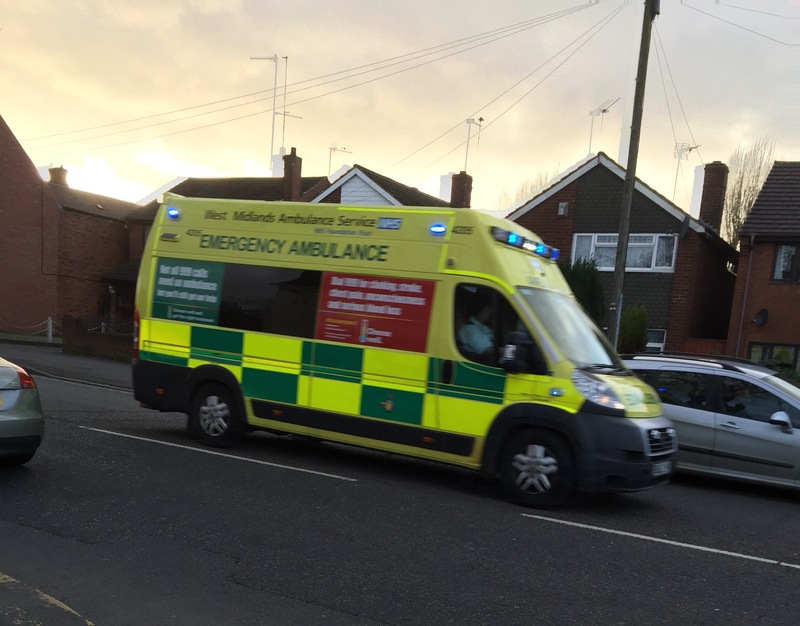 West Midlands Ambulance Service was called to Witton Road, Aston shortly after 6.30pm on Monday 14th March. Two ambulance crews and two rapid response vehicles driven by a paramedic area support officer and a critical care paramedic attended. A West Midlands Ambulance Service spokesman said: “A nine year old boy had a serious leg injury. A splint and a pelvic binder were applied and, accompanied by the critical care paramedic, he was taken to Birmingham Children’s Hospital. Monday 14th March 2016 – 6pm – Chris Kowalik. 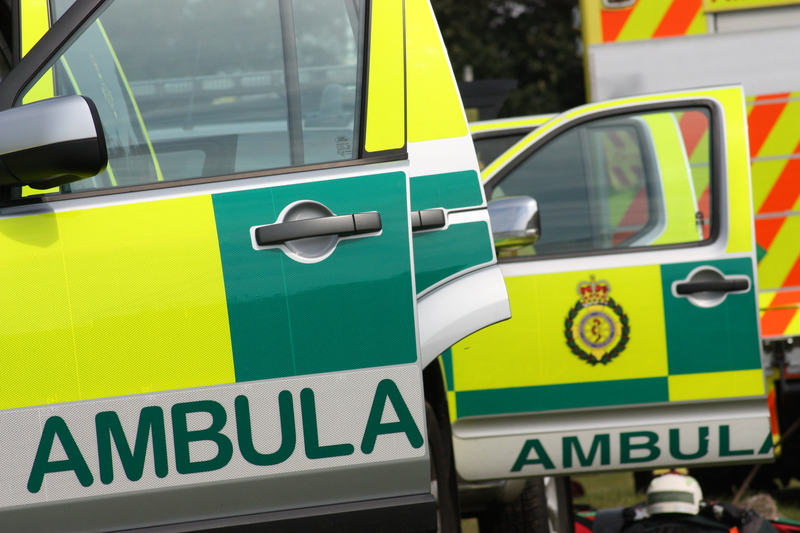 A woman has been taken to a major trauma centre following a collision involving a tipper truck in north Worcestershire. West Midlands Ambulance Service was called to the junction of Sutton Park Road and Stourport Road, Kidderminster shortly before 3.10pm today. A senior paramedic officer in a rapid response vehicle, an ambulance crew and the Midlands Air Ambulance from Cosford attended. A West Midlands Ambulance Service spokesman said: “The pedestrian, a woman in her thirties had head and facial injuries. Monday 14th March 2016 – 4.25pm – Chris Kowalik. 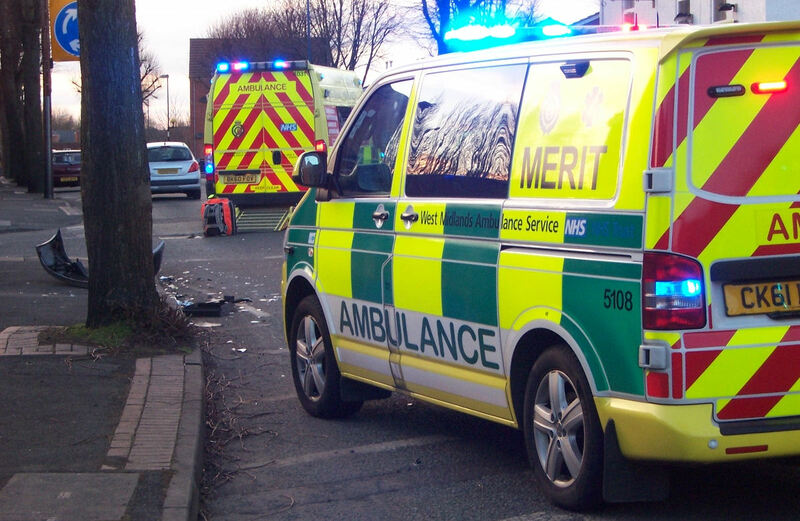 Four people had to be cut free after a crash in the Black Country. West Midlands Ambulance Service was called to the junction of Corngreaves Road and Timbertree Crescent in Cradley Heath shortly before 3pm. Three rapid response vehicles driven by a community paramedic, a critical care paramedic and a senior paramedic officer attended along with three ambulance crews. Police and the fire service also attended. A West Midlands Ambulance Service spokesman said: “There were three people in one of the cars involved in the crash. 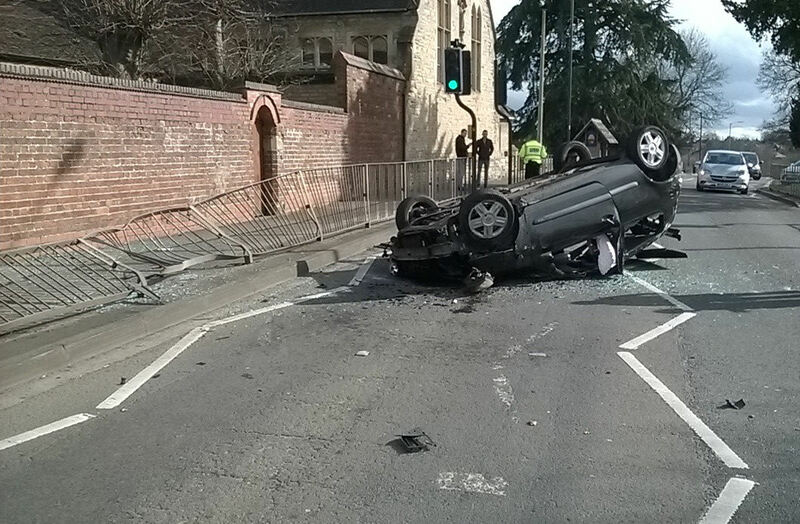 A man in his eighties who had fractured ribs was immobilised at the scene by ambulance crews. A woman in her eighties had a chest injury and a woman in her forties was a ‘walking wounded’ casualty. All three were taken to Russells Hall Hospital. Monday 14th March 2016 – 11.45am – Chris Kowalik. The passenger of a car that crashed in Shropshire may have broken his leg. It happened in Upton Lane in Shifnal. West Midlands Ambulance Service was called shortly before 9.50am and sent two ambulance crews, the Midlands Air Ambulance from Cosford and three rapid response vehicles driven by an advanced community paramedic, a senior paramedic officer and a paramedic area support officer. 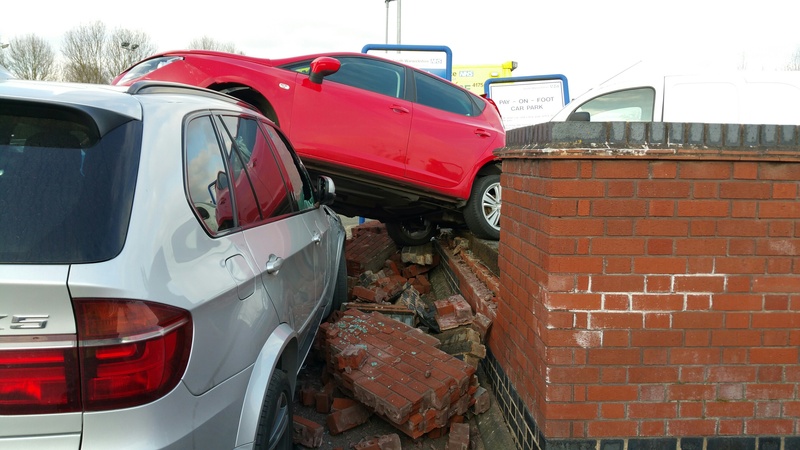 A West Midlands Ambulance Service spokesman said: “There were two men in the car which had collided with a wall. The passenger had to be freed with the help of the fire service. He had a suspected broken leg which was treated at the scene. He was then taken by land ambulance to Royal Shrewsbury Hospital. Sunday 13th March 2016 – 7.00pm – Claire Brown. 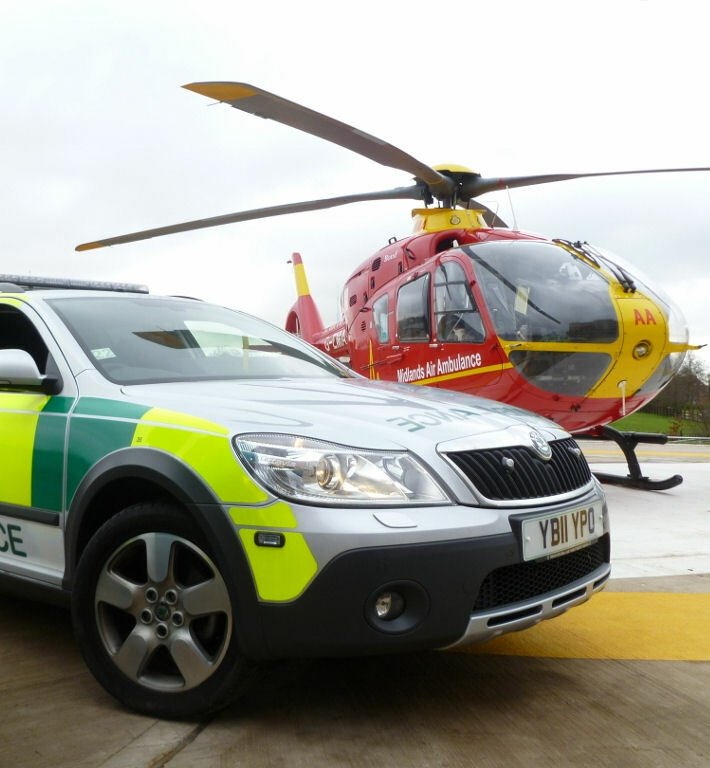 A collision between two motorcyclists left one man needing trauma care in Staffordshire today. West Midlands Ambulance Service was called to the A51 just after the turning for the A519 in Cotes Heath, near Swynnerton at 11.30am this morning (Sunday). Two ambulances, two BASICS emergency doctors and a paramedic area support officer attended the scene. 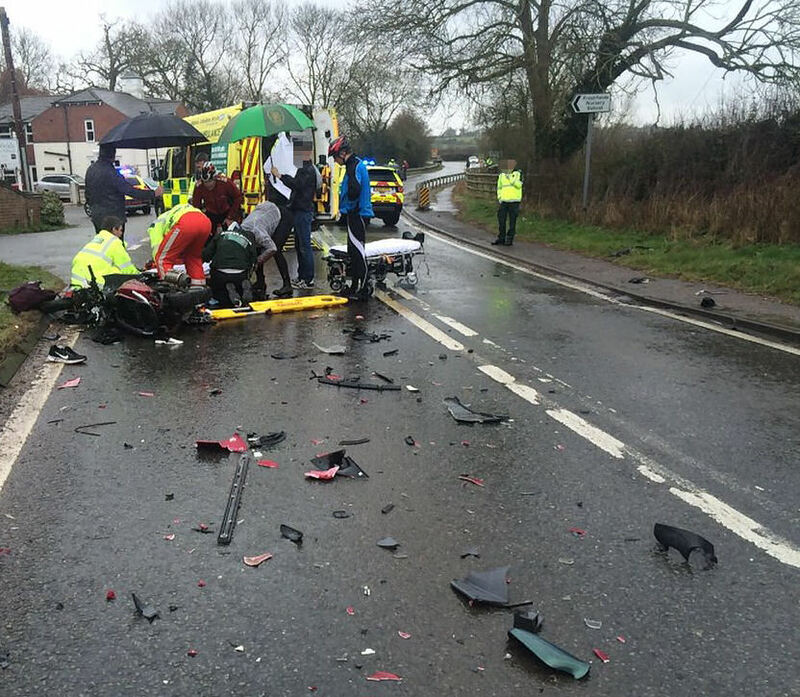 A West Midlands Ambulance Service spokeswoman said: “When ambulance staff arrived they found two motorcyclists being cared for by a team of bystanders who had stopped to help following the collision. 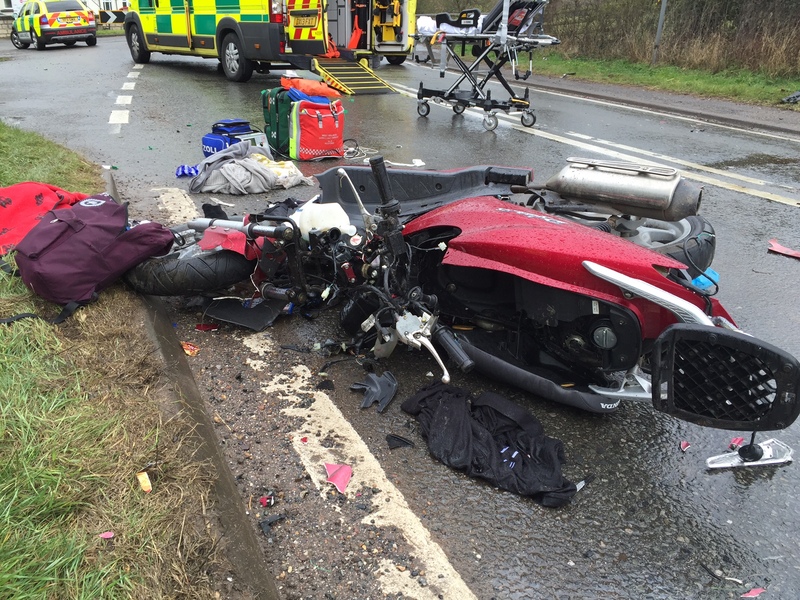 “One motorcyclist, a man in his 30s, was in a serious condition which required a range of advanced trauma treatment by the doctors and ambulance staff. The man had sustained multiple injuries and, once his condition had been stabilised on scene he was immobilised and immediately alerted to Royal Stoke University Hospital, a major trauma centre, for further treatment. “The second biker, a man in his 50s, had suffered less serious injuries but required treatment on scene before being taken to the same hospital. Friday 11th March 2016 – 1.45pm – Chris Kowalik. 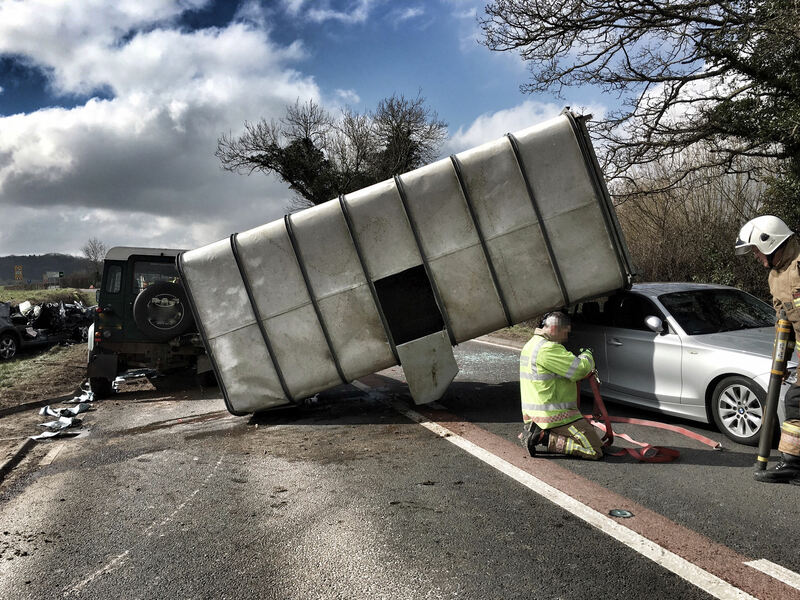 A collision involving three lorries on the M40 has resulted in one of the drivers being taken to hospital but it would appear he was not seriously injured. West Midlands Ambulance Service was called to the northbound carriageway just before its junction with the M42 shortly before 10.50am today. Two ambulance crews and a paramedic area support officer in a rapid response vehicle attended. A West Midlands Ambulance Service spokesman said: “One of the lorries had collided with a bridge support and was on its side. Its driver, a man in his thirties had leg pain. 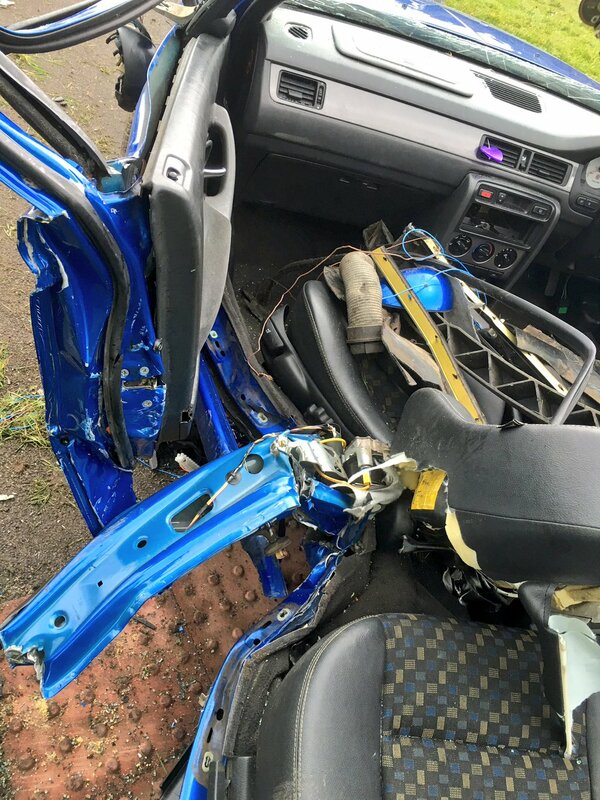 He was immobilised and was given pain relief but because of the amount of damage to the cab, he was taken to the major trauma centre at University Hospital Coventry and Warwickshire for further assessment and treatment. 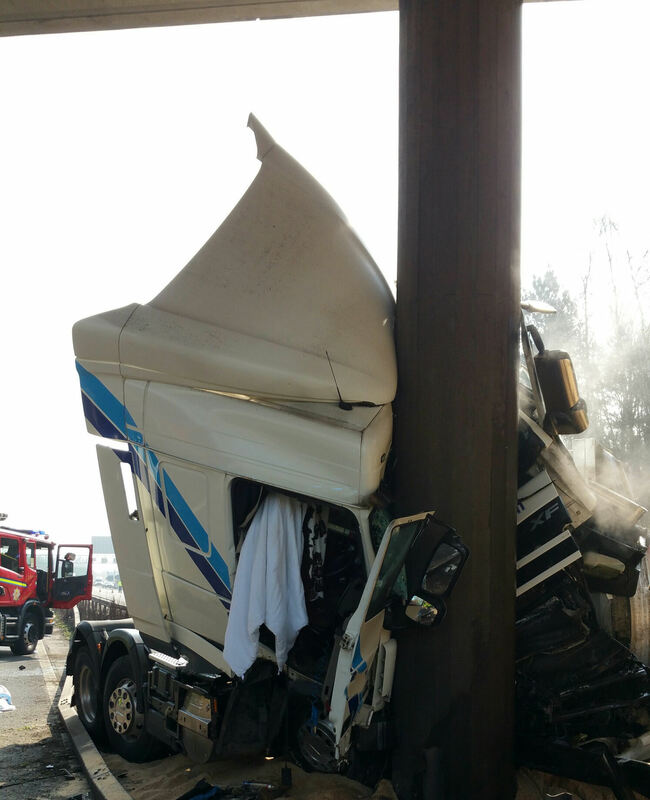 “One of the other lorry drivers had back pain but he refused hospital treatment. The third lorry driver was uninjured. Friday 11th March 2016 – 11.30am – Claire Brown. A zoo in the Black Country is helping to keep humans alive thanks to two new additions which arrived this week. Dudley Zoological Gardens have installed not one but two automated external defibrillators on site; devices used to help restart the heart of someone in cardiac arrest. West Midlands Ambulance Service provided one defibrillator whilst the other was kindly donated by Mytyl Tromans in memory of her late husband who sadly passed away last year. Mrs Tromans visited the zoo with her daughter Nina and Nina’s partner Dean to officially hand over the defibrillator this week. The Trust’s Community Response Manager Andy Jeynes and paramedic Lee Farley handed over the second device and also trained eight members of staff in basic life support and how to use the defibrillator. Pictured (top photo left to right): Paramedic Lee Farley, Community Response Manager Andy Jeynes, Zoo Curator Rich Brown with Kubwa the giraffe, Nina Tromans, Mytyl Tromans, Dean Banks. Friday 11th March 2016 – 9.15am – Chris Kowalik. 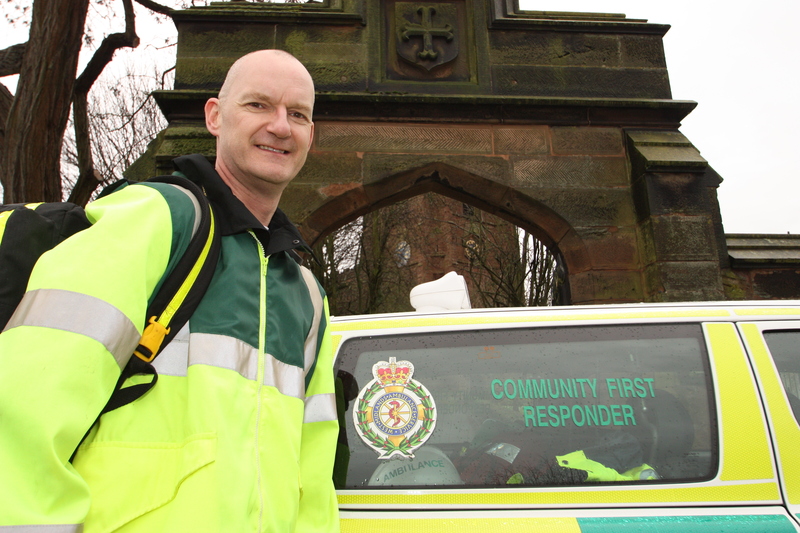 The head of a Community First Responder scheme in Shropshire has outlined his plans to recruit more volunteers and get a new response vehicle. 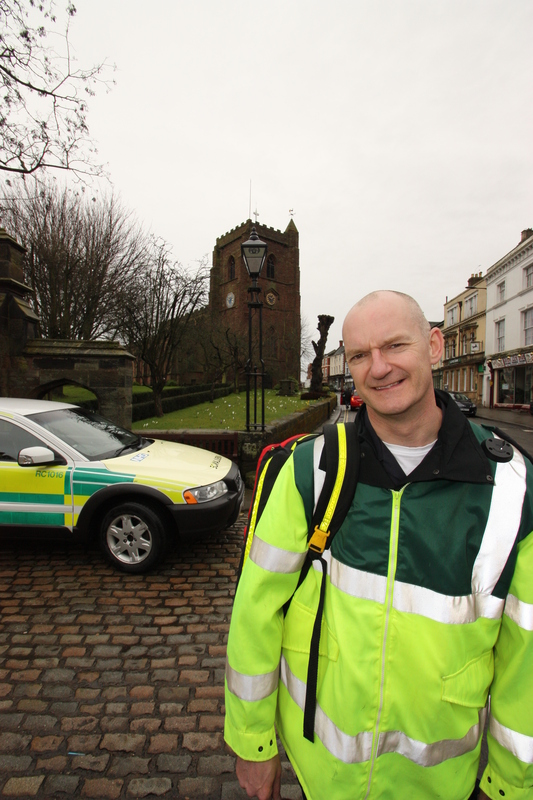 Russell Brooks, 43, co-ordinates Newport Community First Responders. He has himself been a volunteer for fifteen years, giving up his spare time to respond to nearby medical emergencies while a blue-light ambulance is en-route. Now, Russell is one of five volunteers. Between them they provide cover to Newport and surrounding areas for more than twelve hours a day. 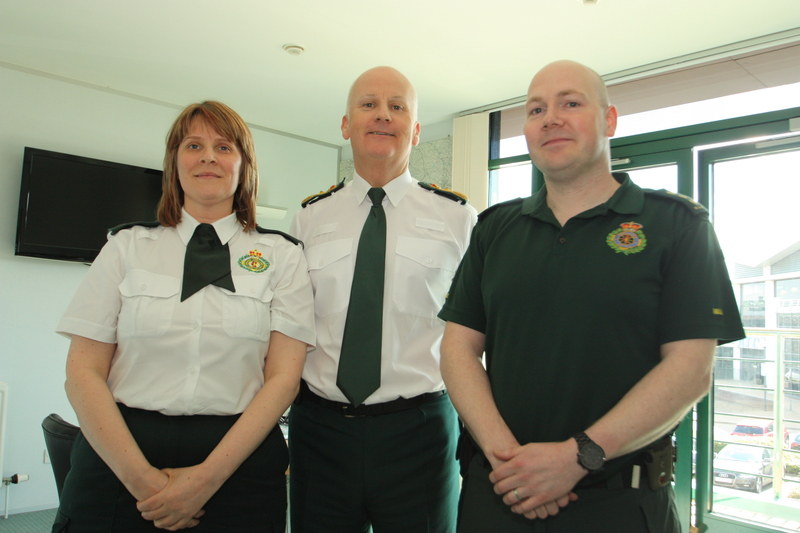 A sixth volunteer is being trained by West Midlands Ambulance Service, but Russell’s ultimate aim would be to have enough people available to respond round-the-clock every day. “A good CFR is someone who wants to put something back into the community, or who has a caring nature, caring background, who can stay calm when everyone around them is panicked, but mainly it’s someone who wants to give something back into the community. It would be great if we could get more people on board. To make a donation, contact Russell Brooks on 07973 506026 or visit Barclays Bank in High Street, Newport and pay directly into “Newport Safer Scheme”. If you are interested in becoming a Community First Responder in the future, visit www.jobs.nhs.uk where any future recruitment advertisements will appear. There is no current recruitment advertisement running on NHS Jobs. This press release is issued to raise awareness of the Newport scheme.